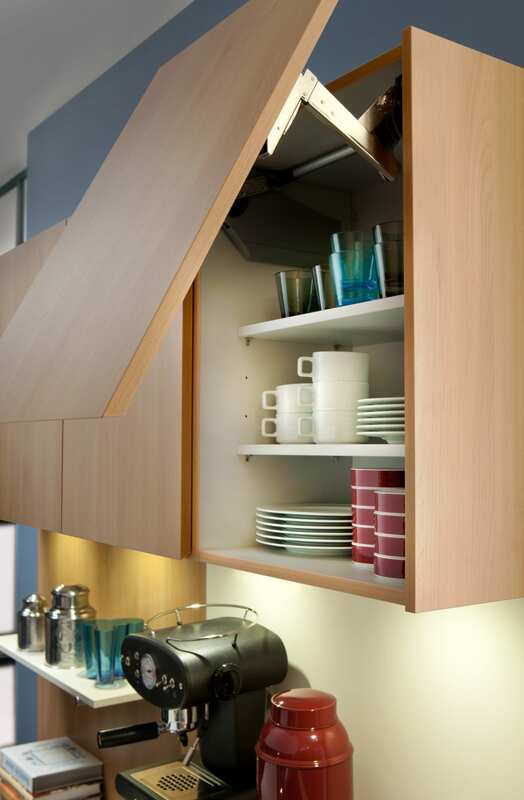 Homeliness and functionality need not necessarily be separate. 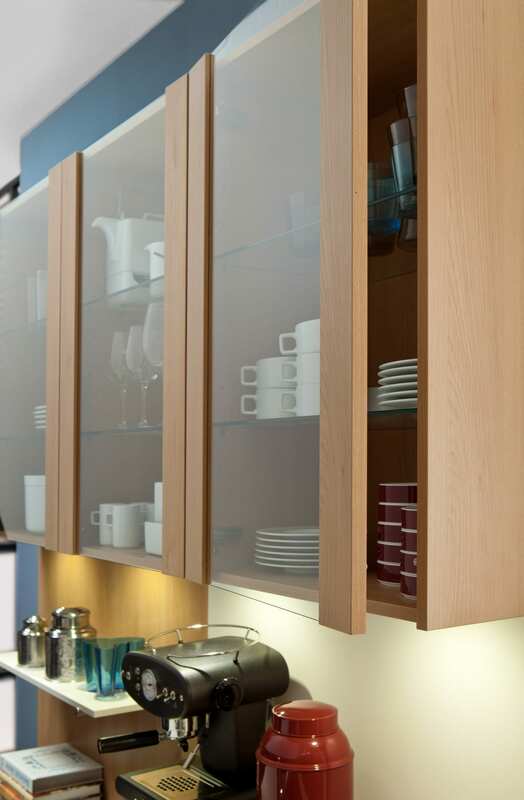 Light wood décor, combined with magnolia white fronts and cheerful lighting. 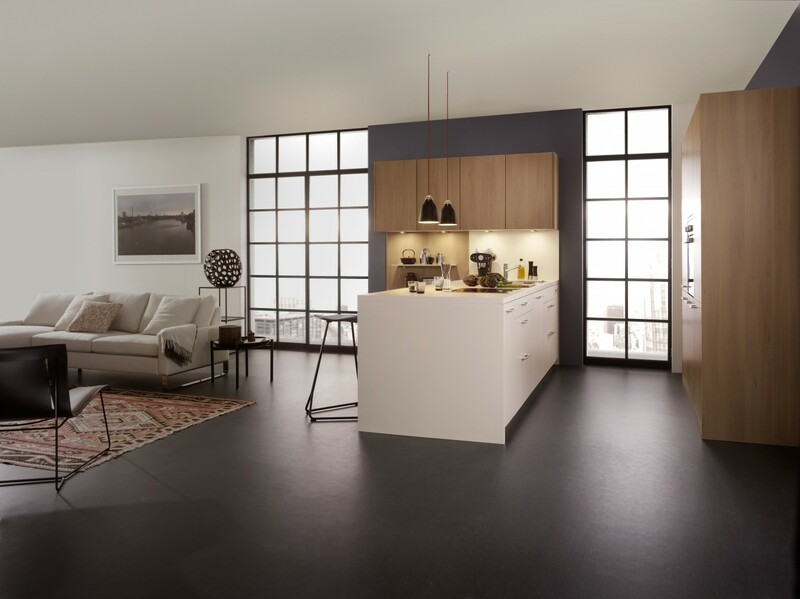 The opening towards the living room and the integration of living room elements into the kitchen are some of the choices. 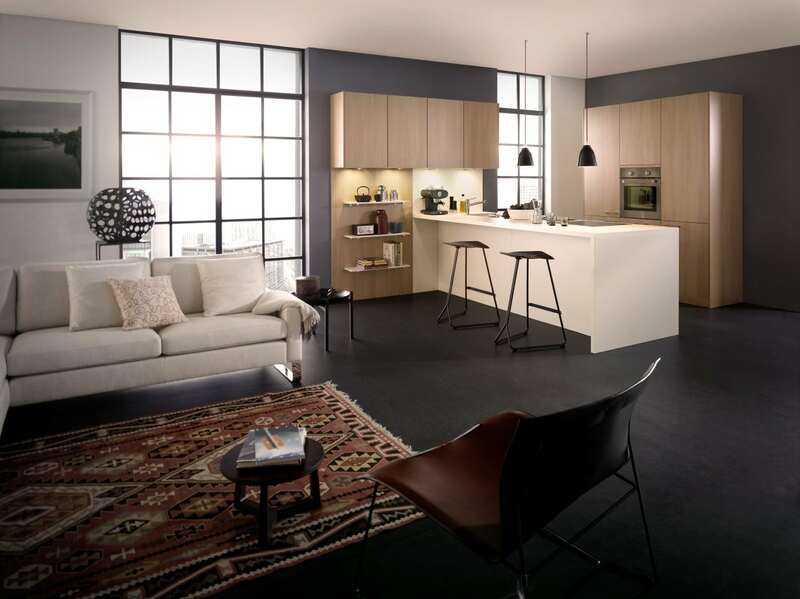 The isle unit marks the transition from the working to the living area. 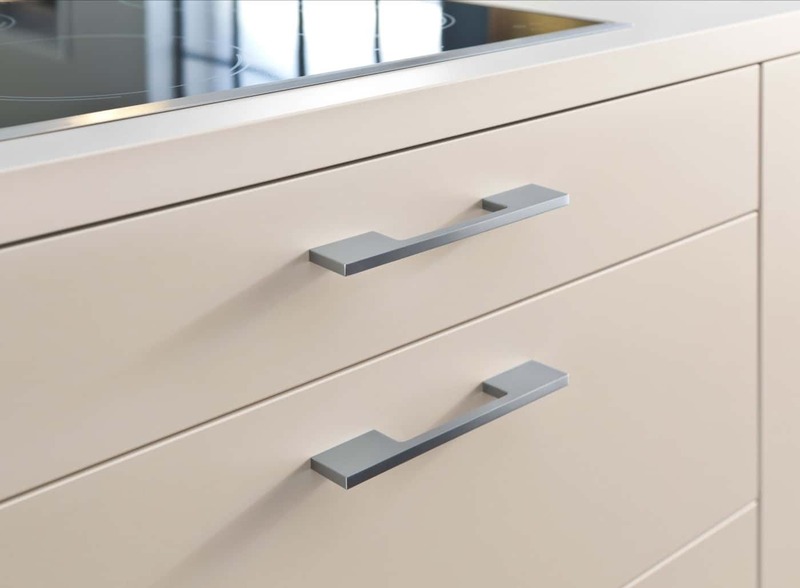 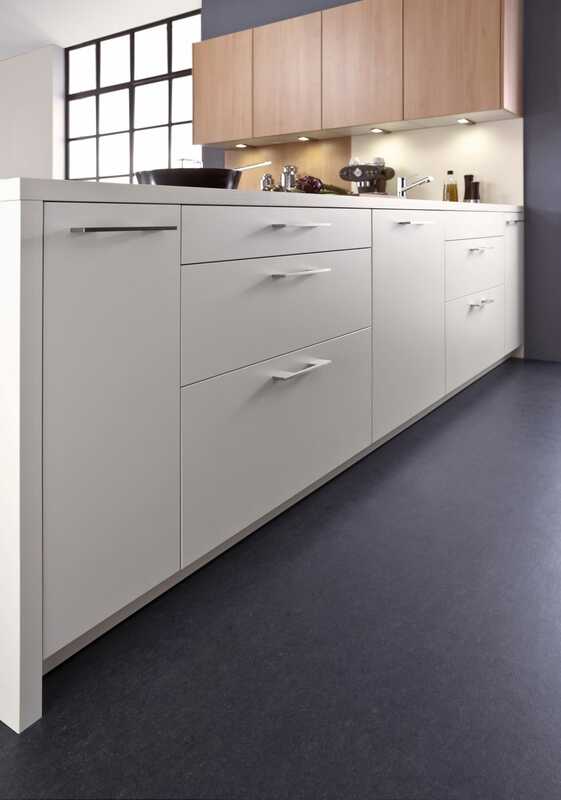 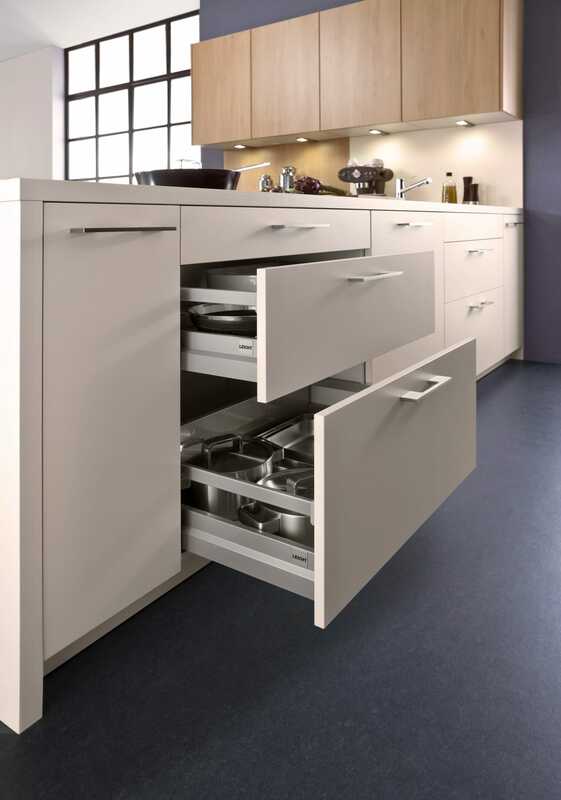 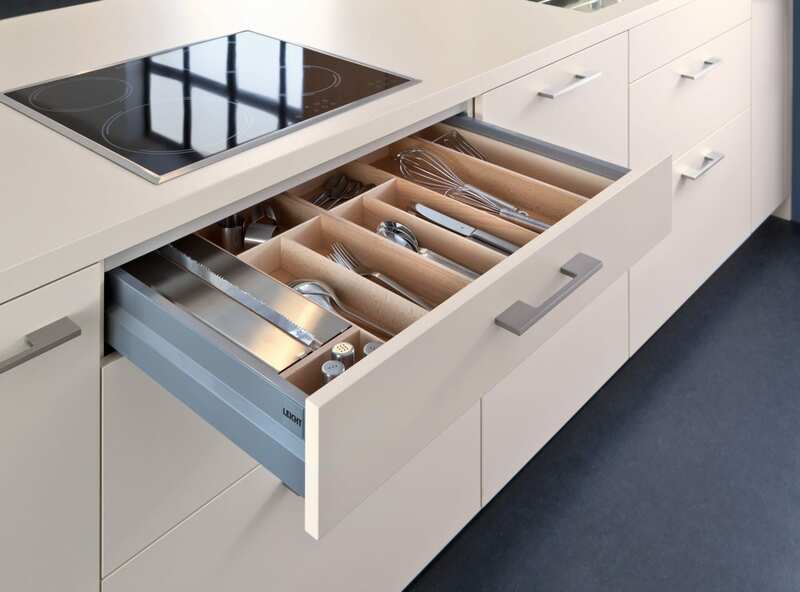 Colour matching side panels and the worktop flush with the front, give the isle a block-like appearance. 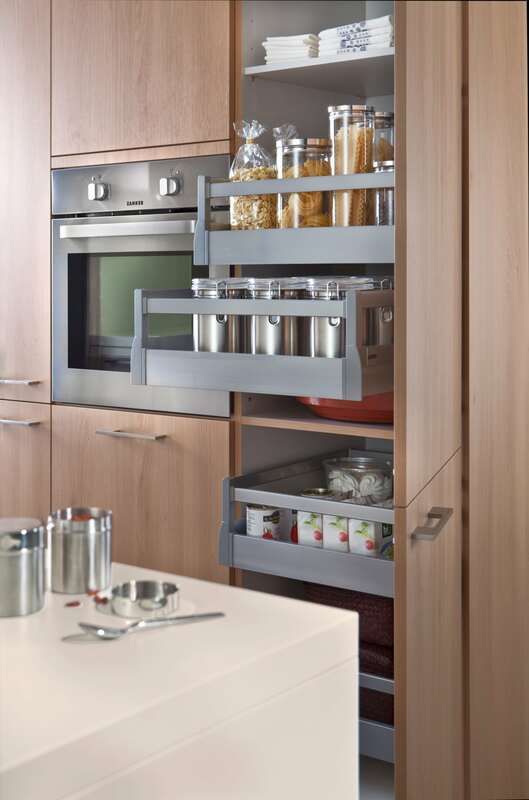 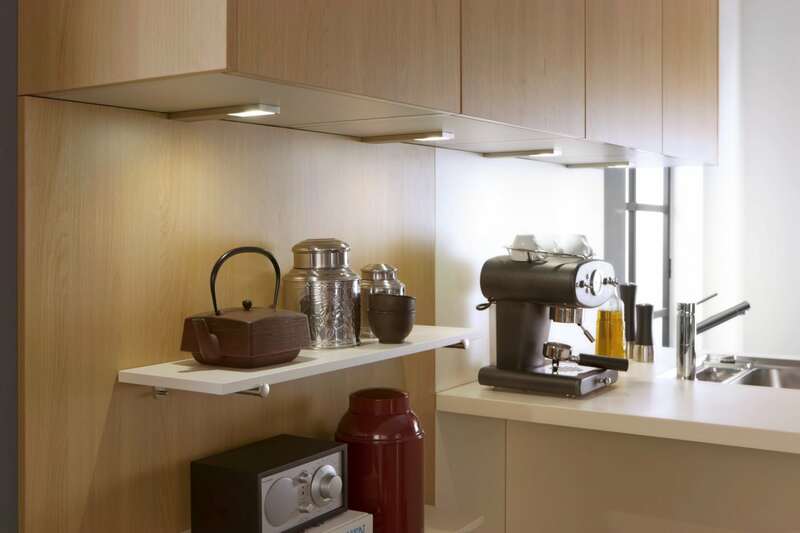 Handle-less wall units with attached LED-lights bridge the isle and the open shelf unit.